Going through a divorce can be a frightening and challenging process. Whether you need information and guidance about the financial impact of divorce (e.g. spousal support, child support, or dividing assets) or you are concerned about the type of parenting plan you will have, we can help. 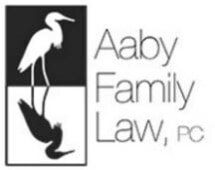 Aaby Family Law, PC is committed to providing knowledge and effective representation in all areas of family law, including divorce, support, child custody, and prenuptial agreements. We understand how stressful this process can be and we will work to resolve your case in an efficient, cost-effective, and supportive manner. We encourage you to explore our web site so that you can become familiar with our firm as well as some of the community resources that are available. If you would like to consult with a family law attorney and learn more about your particular legal situation, please contact us so that we may schedule an appointment.